Tuna tartare was a perfectly serviceable version, tugged in a vaguely Asian direction with a citrus ginger dressing and a lemon miso dipping sauce; crispy house-made potato chips were a nice vehicle for scooping. 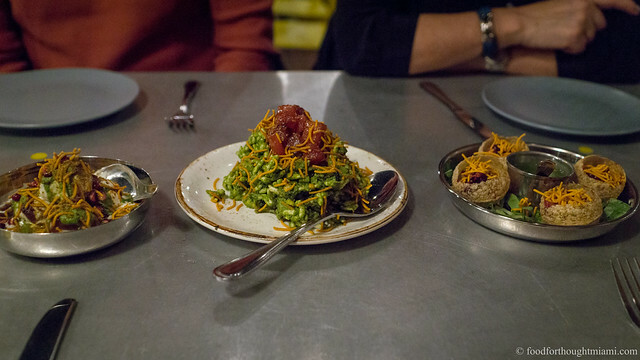 A frisée salad with duck confit brought a whopping whole leg of duck over a pile of sprightly greens, again a hint of Asian flavors contributed by a soy molasses dressing, some welcome brightness and acidity from juicy grapefruit segments. Best of all was shredded braised pork given a chipotle chile and orange marinade, reminiscent of the flavors of tacos al pastor. The pork was tucked into toasted flour tortillas and dabbed with avocado salsa and lime crema. We split a whole yellowtail that was the highlight of the meal. The fish was perfectly fried, crisp exterior, tender within, and served with a Thai-inspired sauce - lime, chile, garlic, ginger, fish sauce - on the side to keep from soaking that crispy skin. The wine list was surprisingly diverse, and a Villa Wolf rosé of pinot noir was a perfect warm-weather quaffer. Prices are a notch lower than the priciest places on Key West - starters ran about $14 each, but the whole yellowtail at $26 was a good value in a tourist destination. If you've read more than a few sentences here, you'll probably know that Ernest Hemingway is not a writer I emulate (though I could surely use more of his knack for brevity). 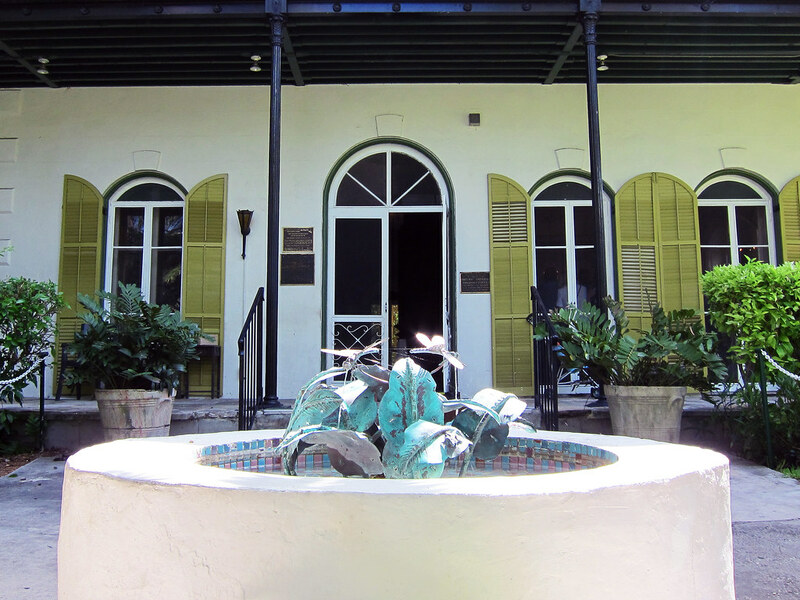 But we always enjoy a visit to the Hemingway Home, where Hemingway lived for most of the 1930's. 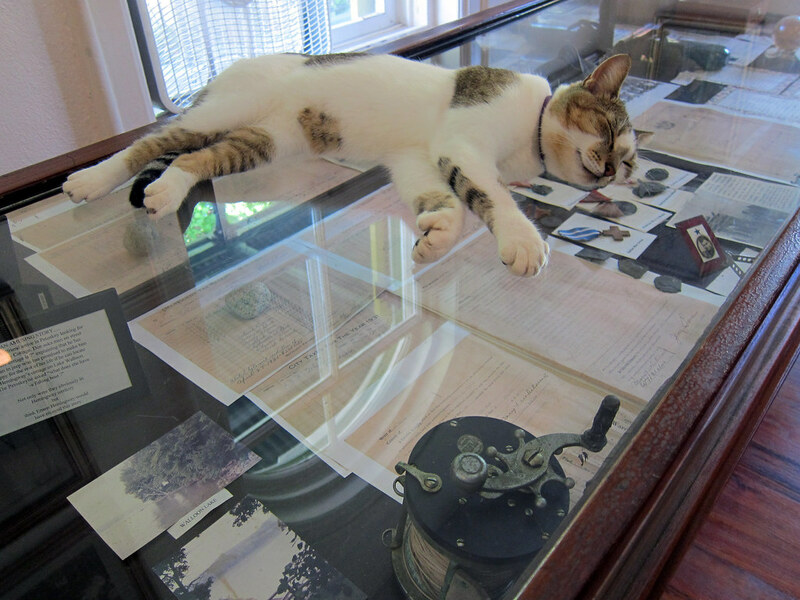 Even if you're not a fan of his writing, you might well be a fan of the Old Florida architecture, or of cats - there are dozens of them, most of the six-toed variety that Hemingway favored after having been given one by a ship's captain. 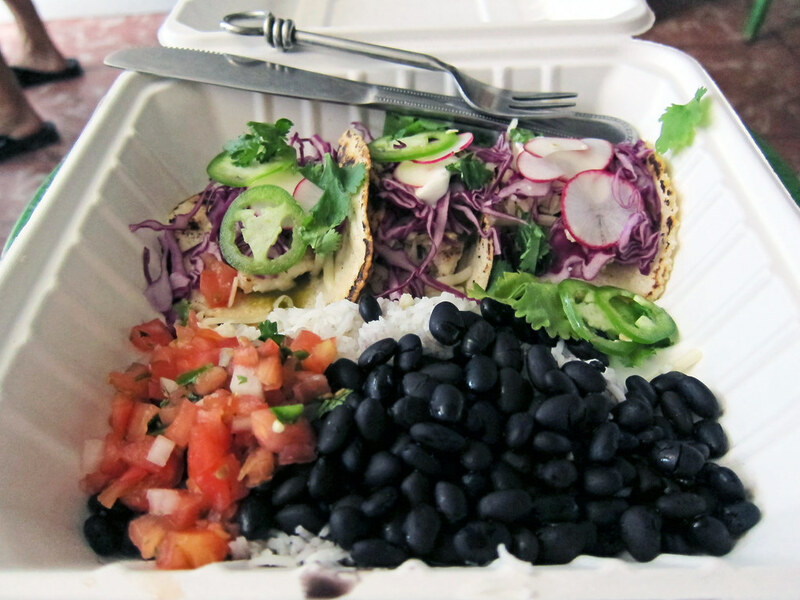 From the Hemingway House, it's a short walk to lunch at Bad Boy Burrito, where the namesake stuffed tortillas can be filled out with your choice of proteins, toppings and sauces. But I went instead with the Cayo Hueso Fish Tacos, a spin on the classic Baja fish tacos, here done with grilled fish instead of fried, but otherwise a pretty typical panoply of accouterments - shredded cabbage, slivered radishes, thinly sliced jalapeños, pico de gallo, salsa verde, and sour cream. Fresh ingredients, clean flavors: these are the makings of a good lunch. Also not to be missed are the incredibly refreshing watermelon agua fresca and hibiscus iced tea. 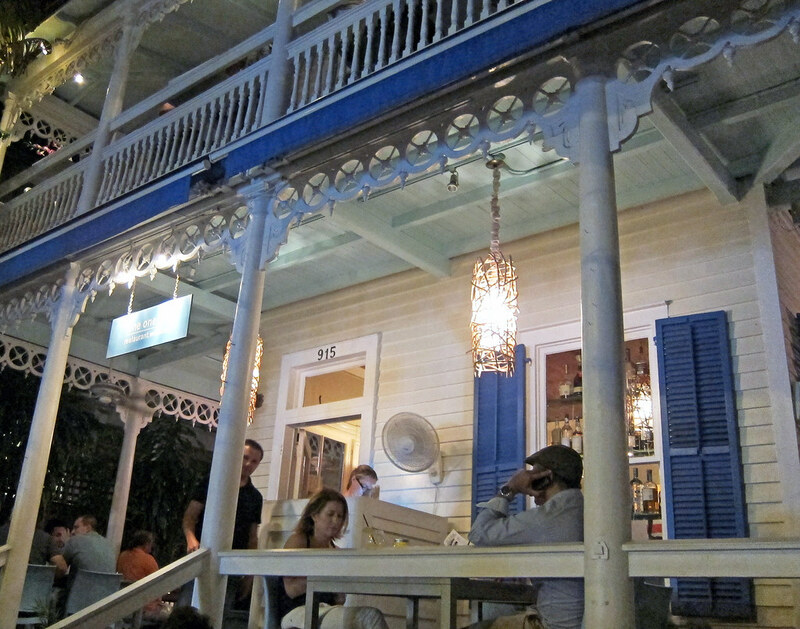 But if you'd like a stiffer drink, perhaps consider instead the Rum Bar in the Speakeasy Inn on Duval Street. 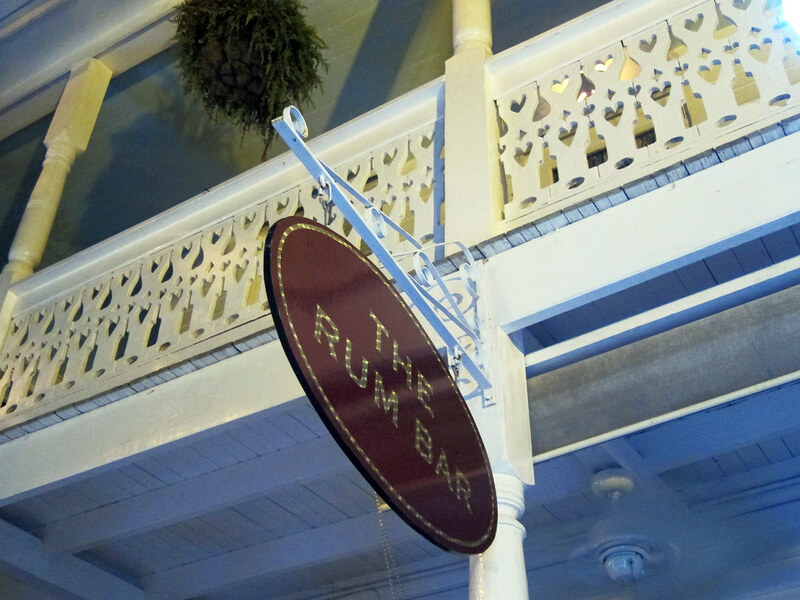 Not as raucous as places like Sloppy Joe's, Hog's Breath Saloon or the Green Parrot, the Rum Bar has a quiet charm, with less than a dozen barstools lined up around an L-shaped bar, and about five times as many rums lined up to choose from on the other side of the bar. You can try them neat, on the rocks, or let the bartender fix one of their many specialty drinks. There are no surprises here - rum punch, hurricane, rum runner, and an authentic Dark 'n' Stormy with Gosling's Black Seal Rum and ginger beer - but they go down mighty easy and are comfortably priced between $5-$8. 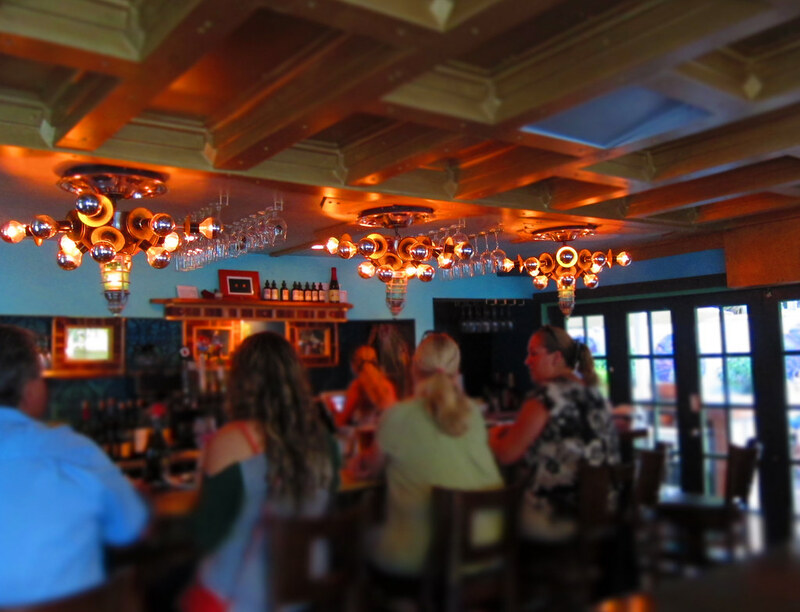 The Rum Bar also has a great history: during Prohibition, the property was owned by Raul Vasquez. Vasquez was in the cigar business, and was also a rum-runner. To see his method of advertising his illicit product, look closely at the balusters for the upper porch: "He reasoned that the gingerbread in the shape of bottles would tell passers-by that here was a convivial establishment, and that in addition to available liquor, the shapes of hearts, spades, diamonds and clubs would suggest that card-playing also was enjoyed in this domicile." Go on in, and you'll find an extended patio with outdoor seating, as well as a cozy indoor bar with some additional seating. 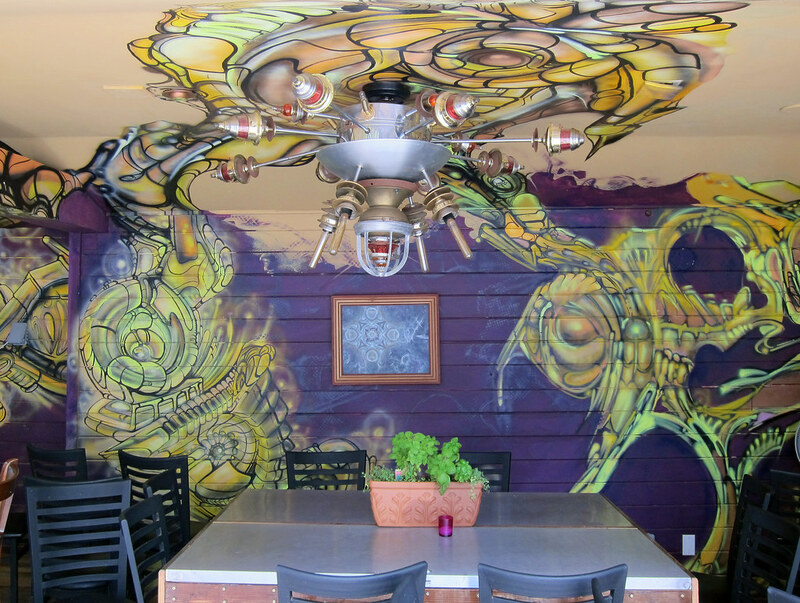 The decor breaks the mold of the typical Key West Victorian motif, going instead for a sort of hippy / steampunk aesthetic. 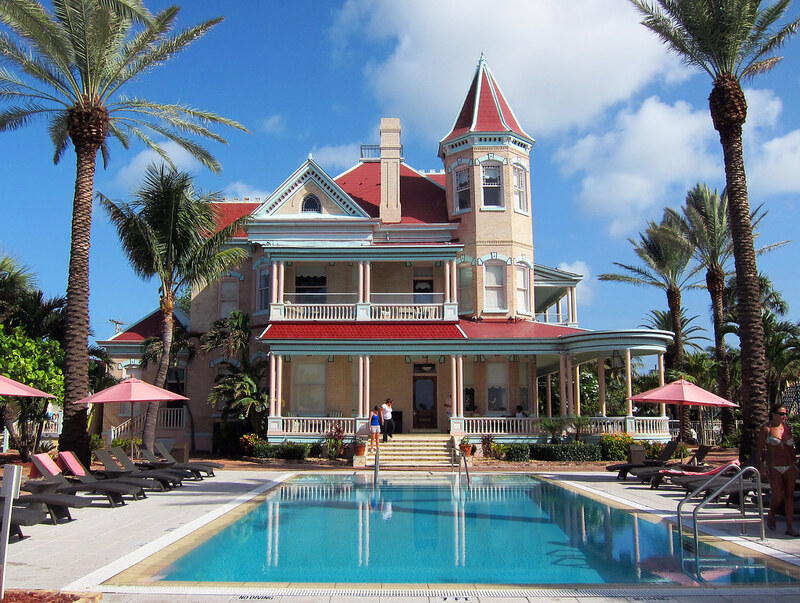 The menu likewise avoids most of the typical, touristy Key West tropes. To get a good sampling, we stuck with appetizers, and ordered nearly every one on the menu. This was, of course, the point at which my camera died. A classic pairing of radishes, butter and coarse sea salt brought half-moons of colorful watermelon radishes instead of the customary globe or breakfast radishes, and I'll take any excuse to consume butter and salt while convincing myself I'm just eating a vegetable. Another classic, gruyere cheese puffs (gougeres), were maybe a shade too far on the crispy side of the crispy versus fluffy scale for my tastes, but still provided a compelling vehicle for an IPA-spiked mustard sauce. The smoked fish dip, a daily special, rivaled one of my favorite local iterations, the one at Red Light. A frisée salad brought brightly fresh greens with an equally bright vinaigrette, along with lardons of "Crazy Larry's" bacon and sliced hard-boiled quail eggs in place of the usual poached egg. Plump clams were steamed open in a miso broth with fresh corn, the broth given another layer of complexity with the addition of fermented Chinese black beans. Maybe the best of all was a banh xeo (a Vietnamese crepe) filled with fresh Key West shrimp, rich pork belly and bean sprouts, served in the customary style with lettuce leaves for wrapping, fresh herbs for garnish and a nuoc cham sauce for dipping. 2 Cents doesn't have a full liquor license, but the beer and wine selections are more than respectable and they also have some nice sparkling wine cocktail options, including the unusually named "Lord Ottenbottom," a concoction of cava, Peychaud's and orange bitters that reminded me of one of my favorite drinks at Sra. Martinez, the Velvet Underground (made with cava, bitters and velvet falernum). 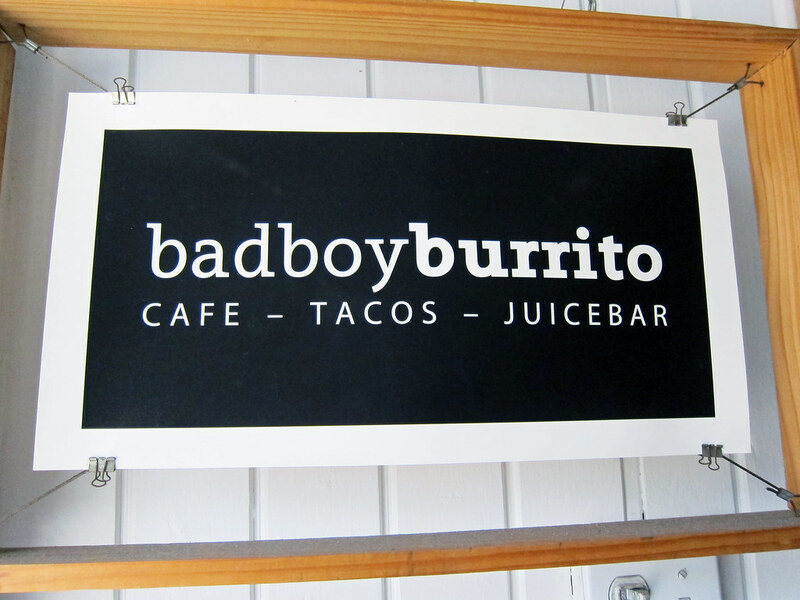 A little googling led me to this origin story for the "Lord Ottenbottom," and to what is almost a complete circle: turns out Chris Otten used to be the chef at 915, left to open Bad Boy Burrito, then more recently opened up 2¢. 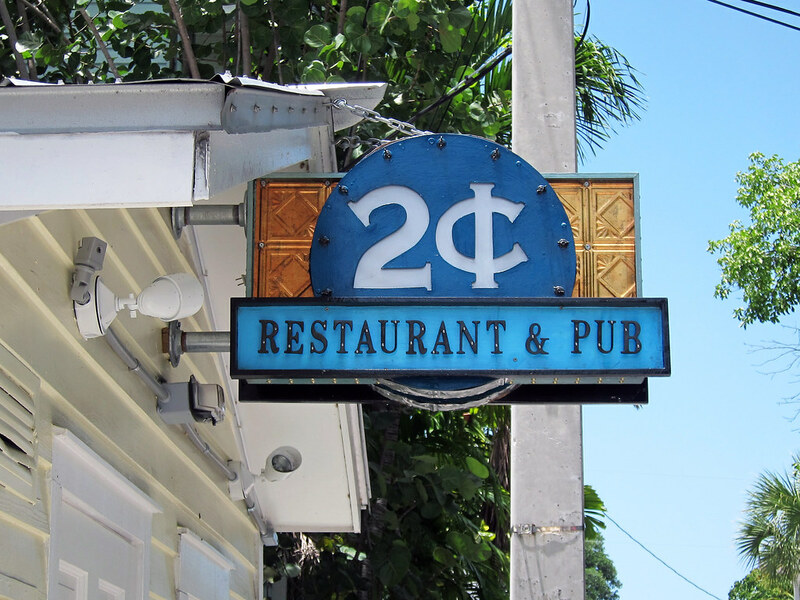 The food at 2¢ is fun, tasty, reasonably priced, and a refreshing change of pace from the usual cookie-cutter format you run into in many tourist destinations. Plus I'm a sucker for any place with Frontier Psychology on the playlist. This is not exactly destination dining, by any means, but it's the kind of place I could easily see myself becoming a regular if it were in my neighborhood. 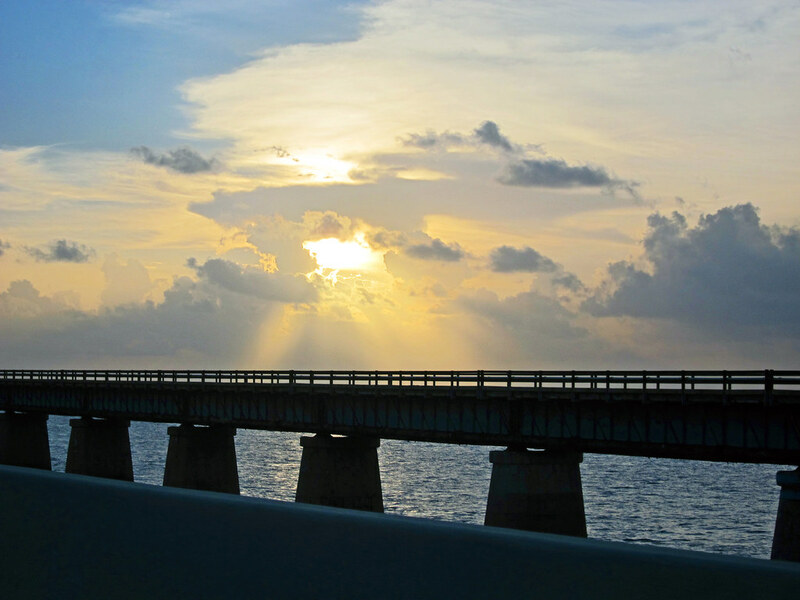 We'll definitely make a return visit on our next weekend escape to Key West. 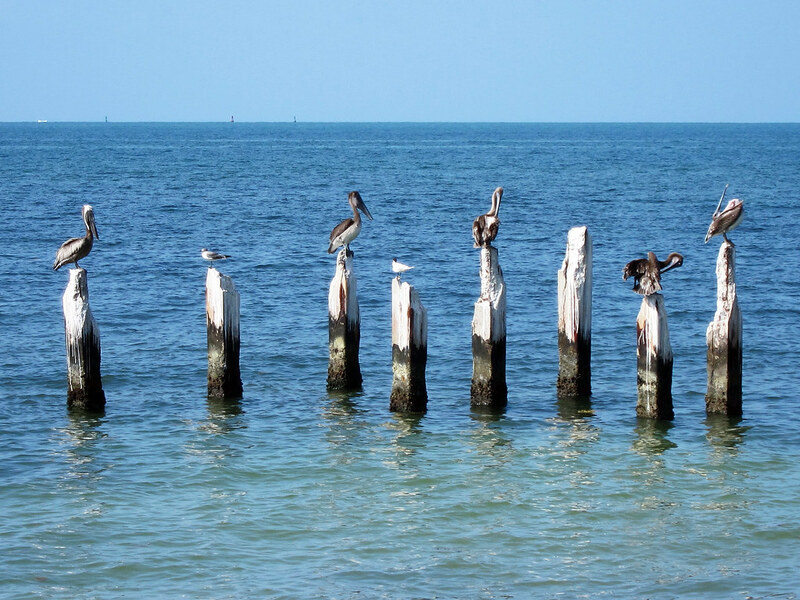 Key West is awesome and as a young 20something, it was the place to be when I was going to school in Miami. SO much fun and the bars there were always a great time but as you get older- it's the same thing and you search for something much more mellow since you can't hang the way you used to! Sad but true fact. Now I tend to steer clear of this area and head north and hang out in Palm Bay. 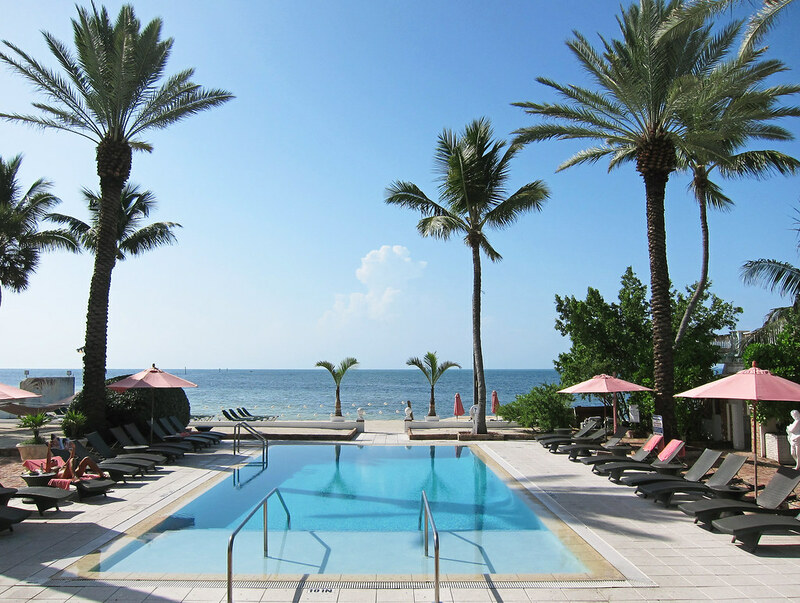 So nice and relaxing, the Palm Bay Hotel (www.palmbay-hotel.com) is so nice and inexpensive and the beaches are way less crowded! You have a killer blog and I love the way you write. 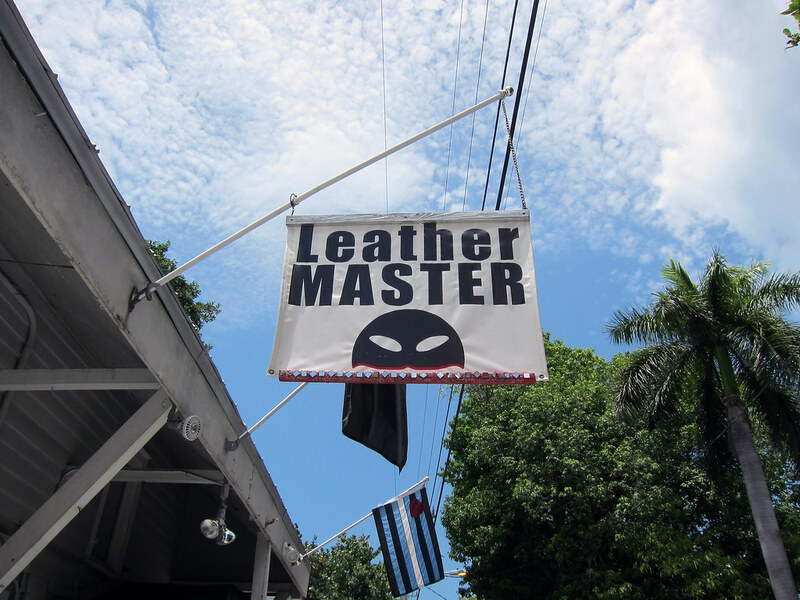 Yearning to move to Key West soon, you showed me some fresh local places that I wouldn't be able to find from Dallas. What a beautiful setting. Looks like you had a great time. I love palm trees and the pool looks really nice. However, from NY, it would be quite a drive! As someone who lives here I like 915 and I am not put off by its location on the main tourist drag, and badboy is a favorite but I really don't like two cents. I suppose that's just the vagary of being human.